While on the streets of the city, I came across Dwaraka Plus; an amazing shop that sells adorable articles with Kalamkari work on them. As I entered the store, I was amazed to see the artful products this shop had. It offers an array of day-to-day products to choose from like hairbands, Kalamkari bangles, keychains, dupattas, stoles, sarees and what not. 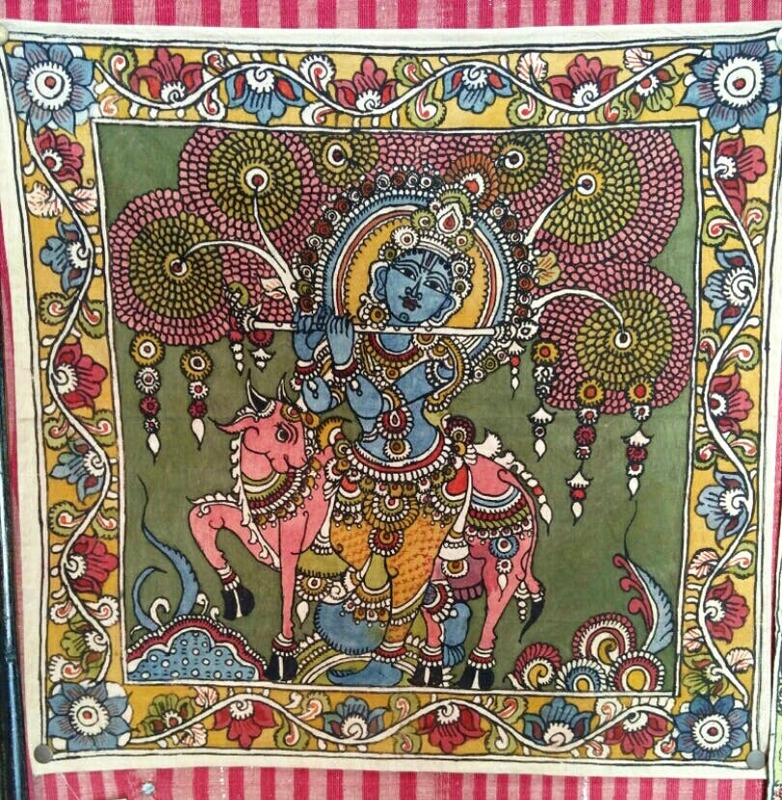 They even have Kalamkari bags, folders, coin pouches, lamp shades and wall hangings for every day use and decor. The store is definitely a world of Kalamkari art in itself. I found the prices a bit expensive but since the products are handmade, the value was justified.